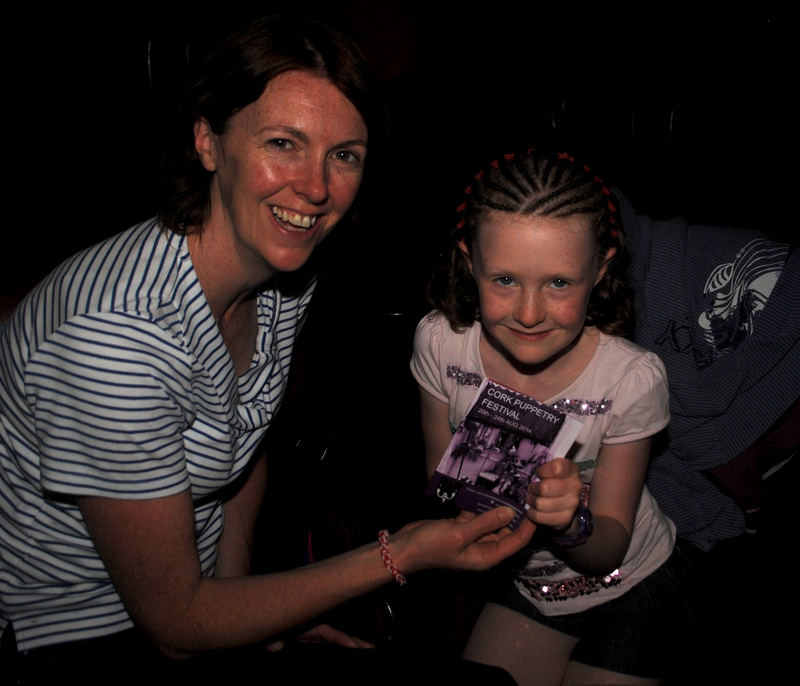 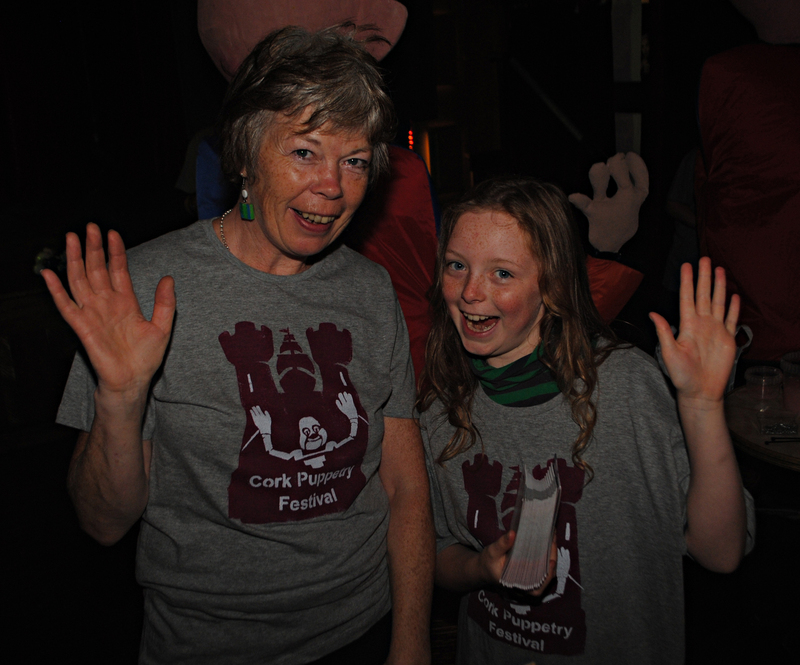 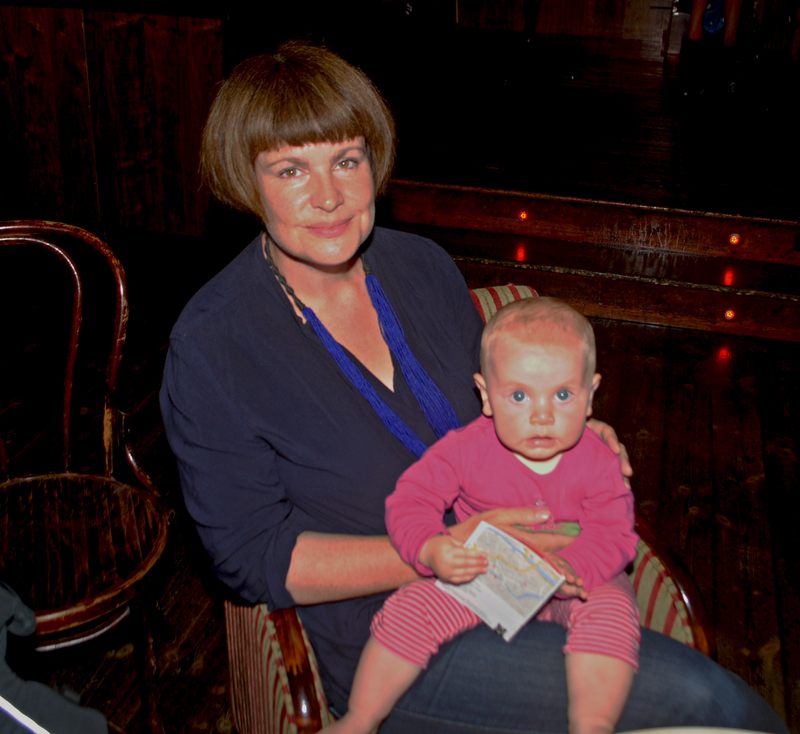 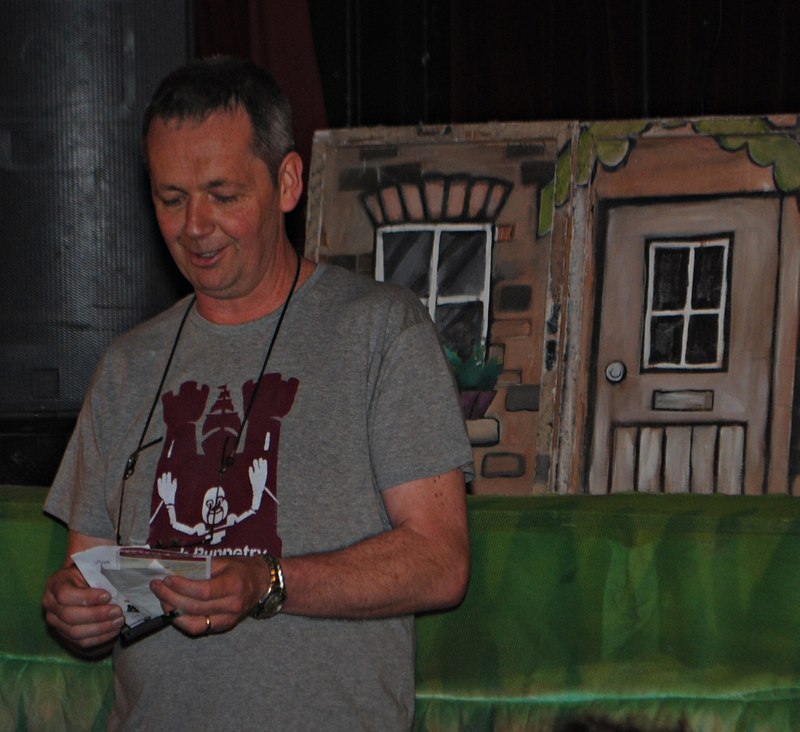 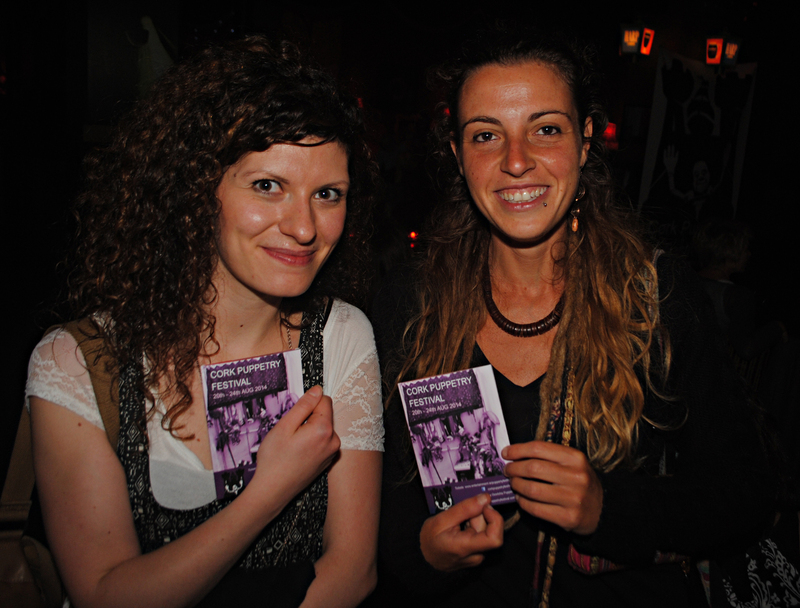 A great time was had by all at our programme launch in The Crane Lane Theatre on Tuesday night. 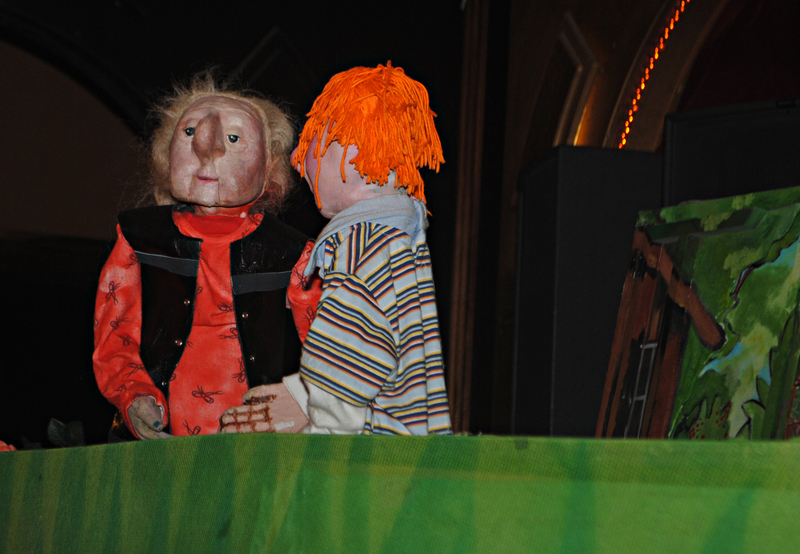 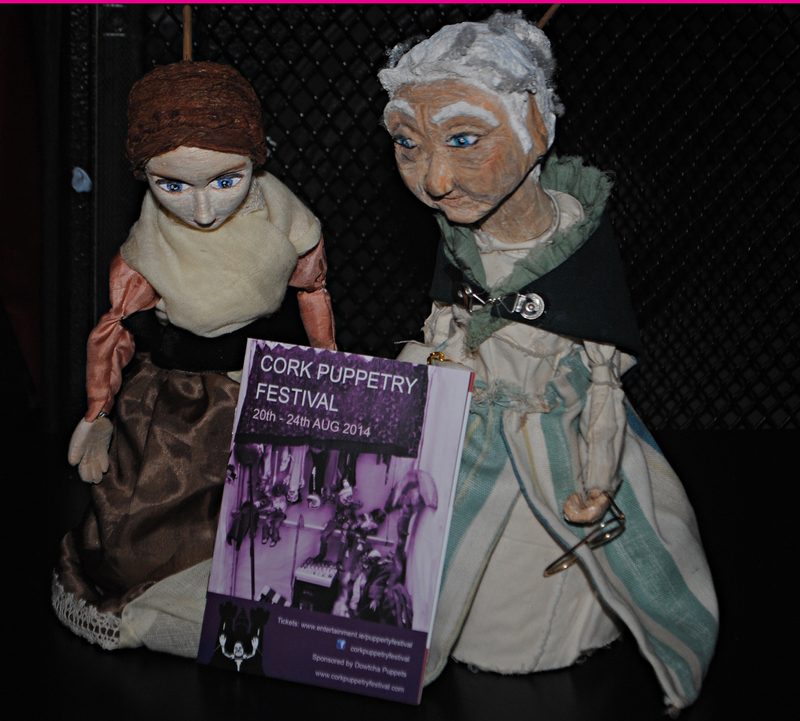 Dowtcha Puppets performed their show “Grandma’s Garden” to an appreciative audience of children and adults alike. 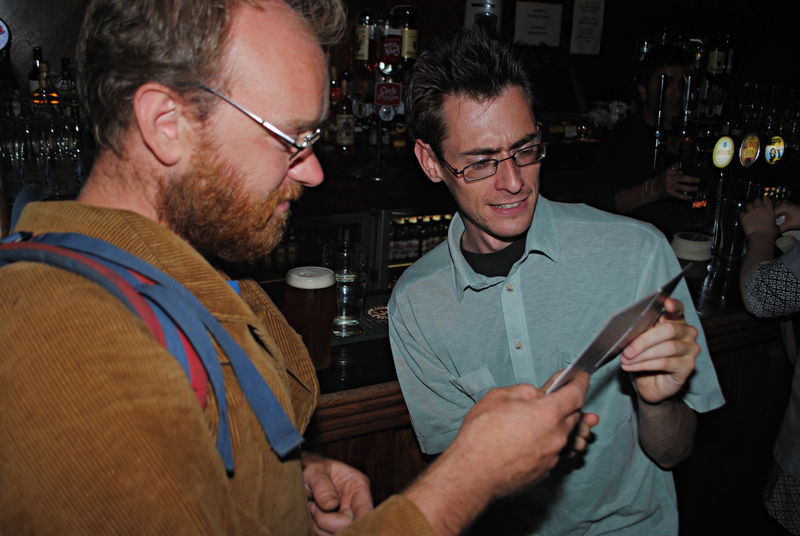 Brian and Micheál peruse the programme! 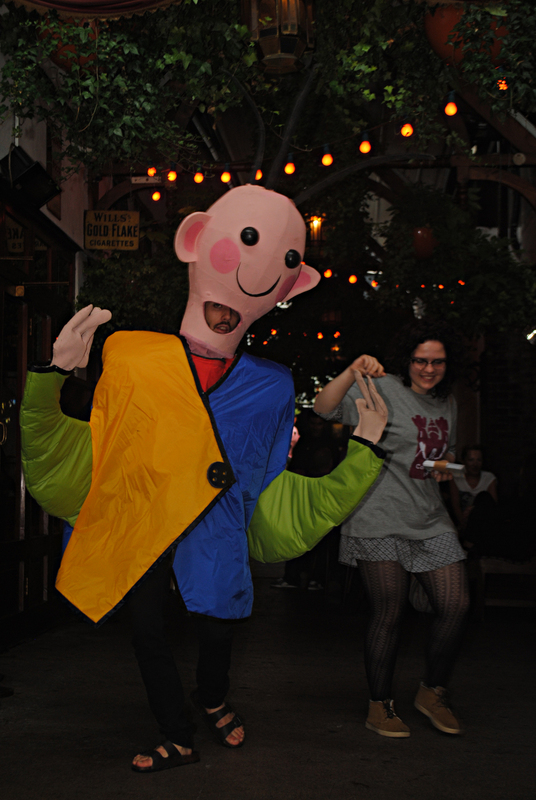 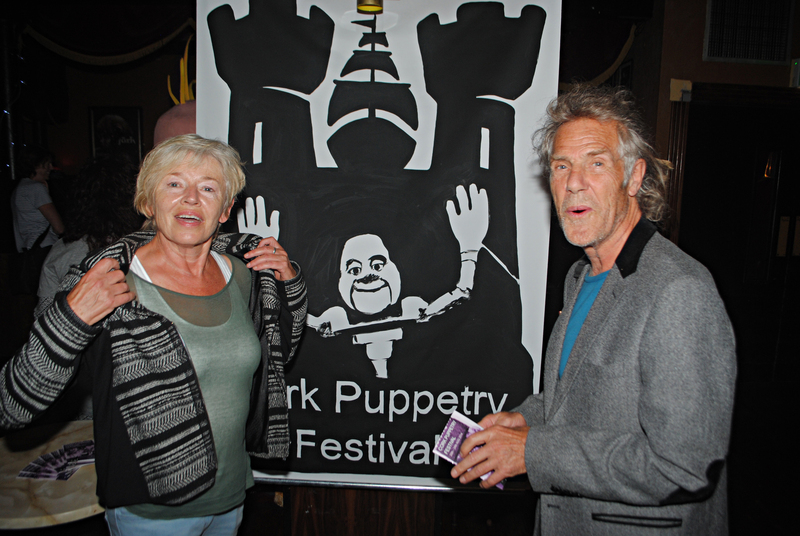 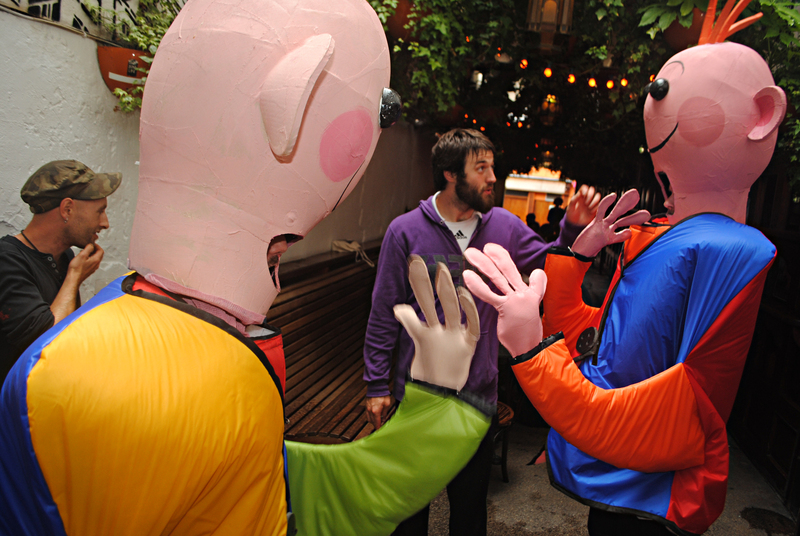 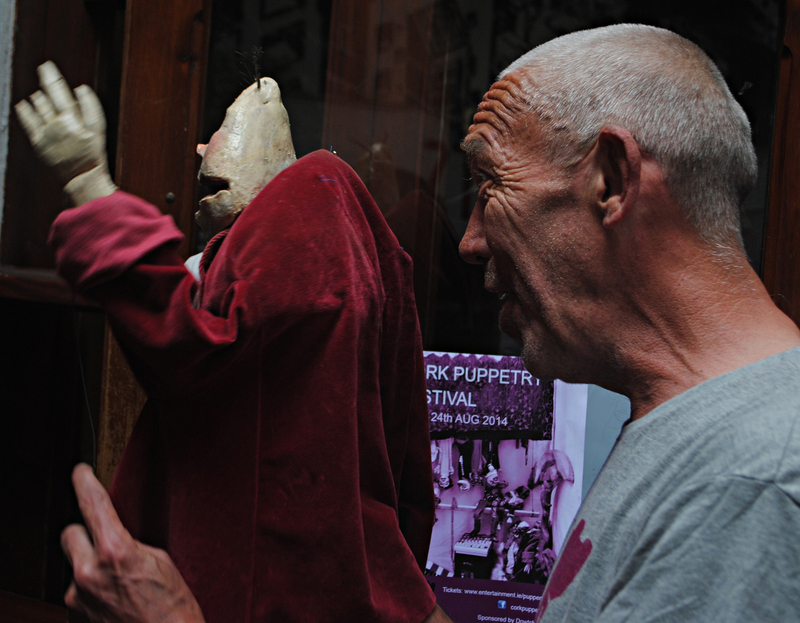 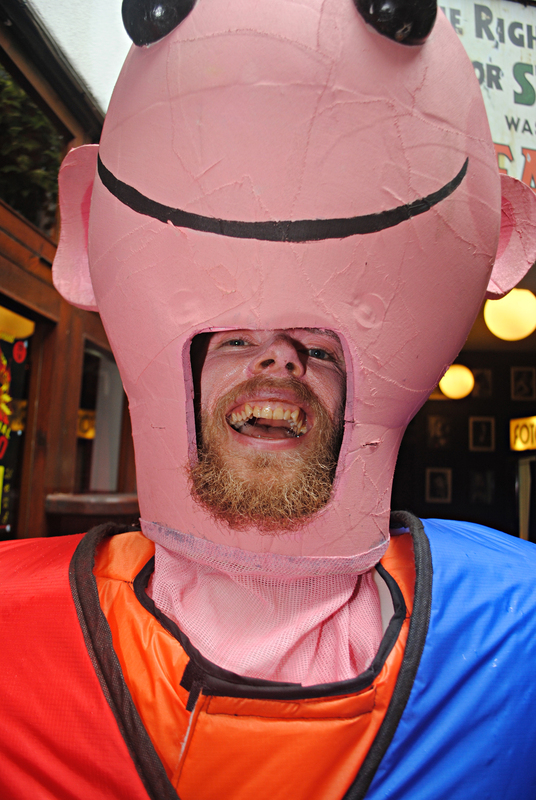 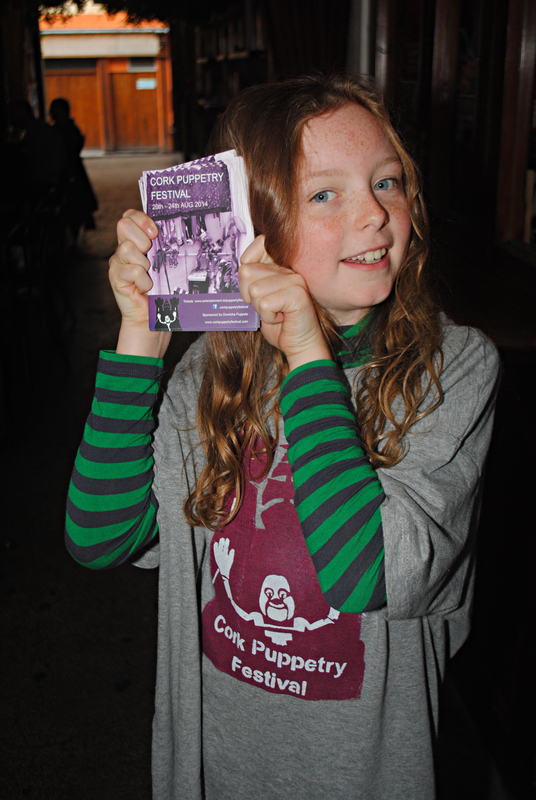 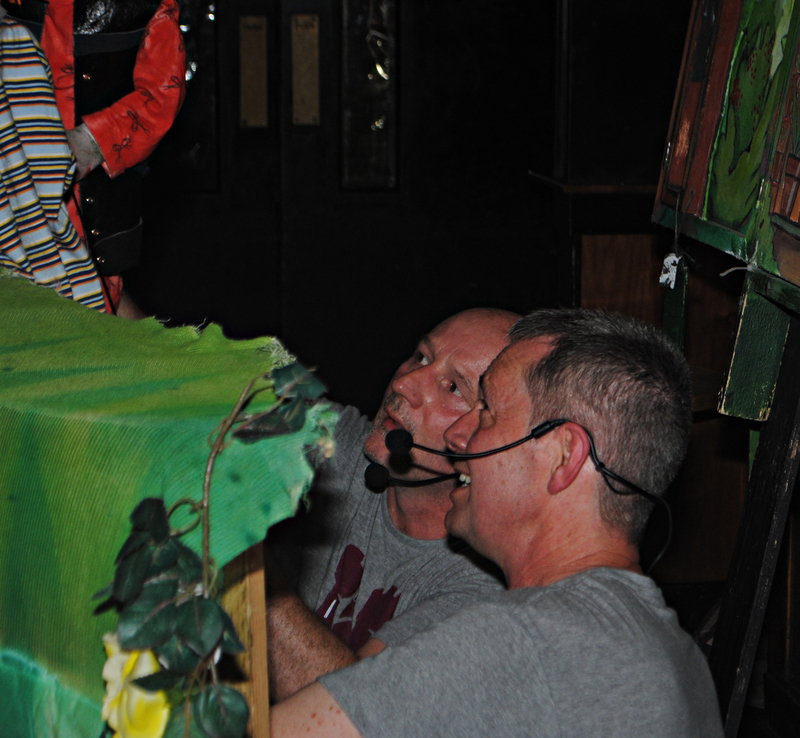 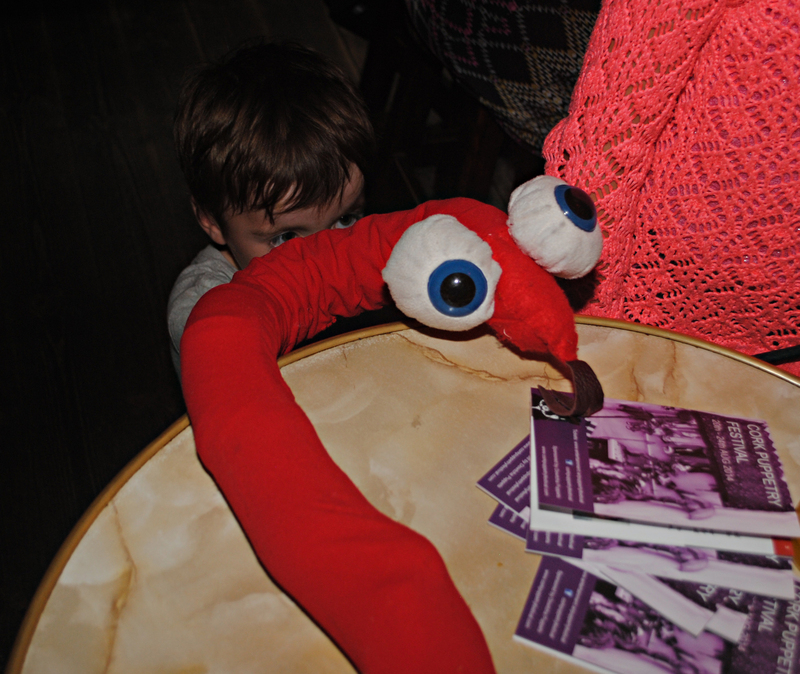 One of the “Heroes” – life-size puppets – who lit up The Crane Lane Theatre at the launch! 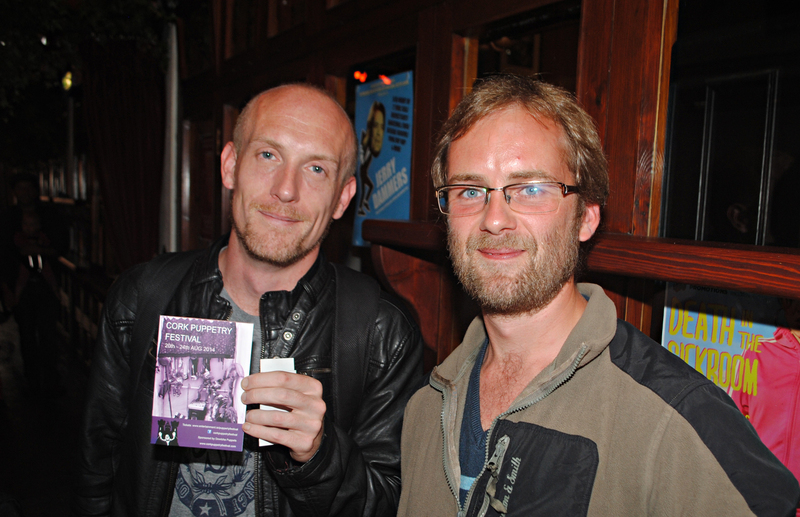 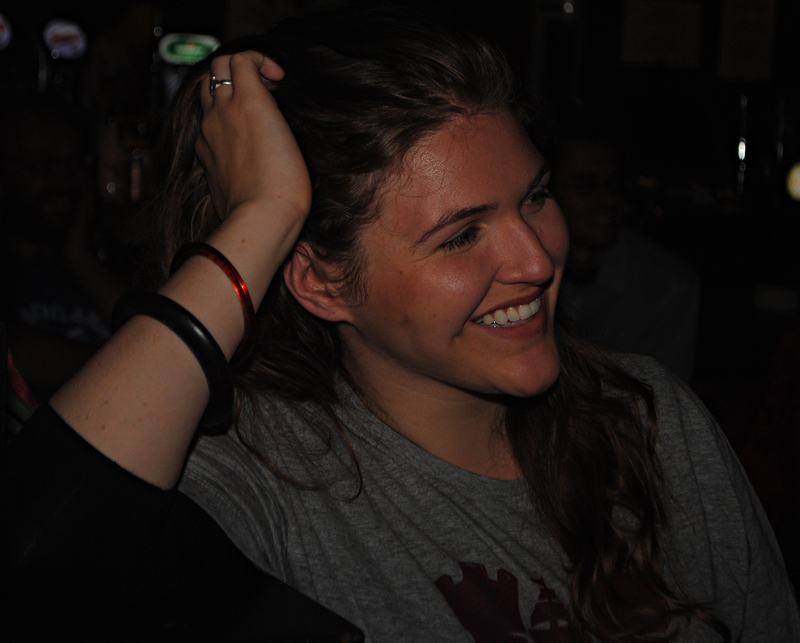 Tom Campbell and Richard Clare discuss which shows they’ll be attending!